Builds here or use this process to install with Go itself. The first beta is out, and these work-in-progress notes will bring you up to speed with what’s new, including type aliases, parallel compilation, and GC speedups. Covers simple execution to handling stdout and stderr separately to showing progress, all with just the standard library. Graph and alert on custom Go metrics and 150+ other techs. 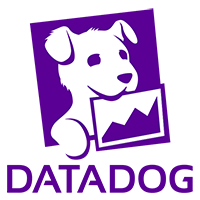 Try Datadog APM + infrastructure monitoring for free. A thought experiment in that applies Peter Bourgon’s approach of having no package-level variables or init functions to the standard library. Explaining the use of value vs pointer semantics with philosophy, specific guidelines, and examples from the standard library. Serving an HTTP API via systemd and socket activation, which allows for continuous, hot deployments. Even though it’s a common Go idiom, using defer to call Close() on writable files can lead to hard-to-find bugs. We’re looking for senior Golang developers interested in building scalable backend services for real-time anti-fraud detection. Join our 2.0 beta for first-class Docker support, flexible resource allocation, custom environments, Workflows, and more. Why cross-compilation is a good thing and how Go gets it done. When a closure can (almost) support similar idioms as generics do in other languages. A situation where the compiler has to jump through some costly execution hooks for little/no benefit. Implementing a custom iterator using channels, a la Python’s range. A simple example using cgo in order to call Go code from R.
Readers and Writers in Go are blocking, which caused an issue for Heroku. See their solution here. How Go proved itself so useful in building Evergreen that we went on to rewrite our Cloud agents and the MongoDB tools using it. An engaging talk on the benefits of putting code into packages. Code in Go, and easily build, test and deploy to FPGAs in the cloud. The aim is to provide a list of projects to study / learn from. A replacement for Python SimpleHTTPServer, providing automatic TLS via Let’s Encrypt.